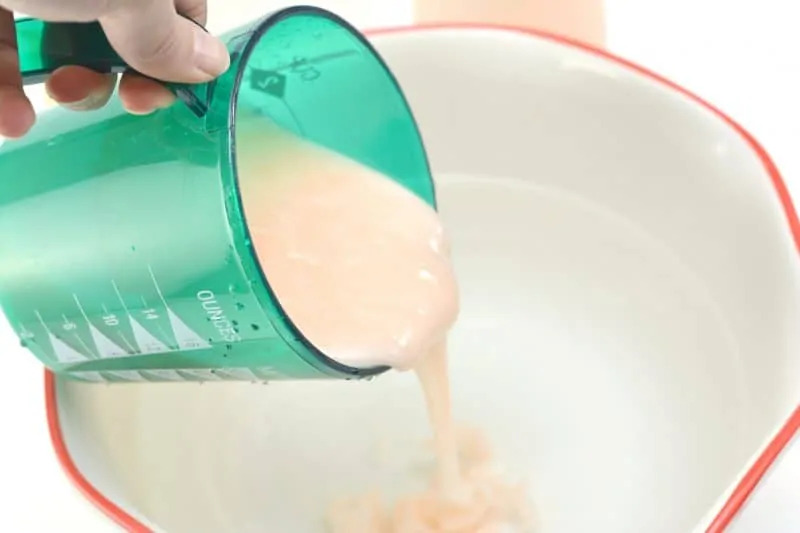 A simple DIY fabric softener recipe using hair conditioner, vinegar, and baking soda. Makes 30+ loads worth of homemade fabric softener. I bet no one reading this would argue with me that doing laundry is their favorite activity. But, one thing is for sure — doing laundry is a necessary task. And to be honest, I would choose doing laundry over most of the other chores any day. Especially after I have gotten by laundry routine in place. Plus, there is just something about taking a nice, warm, load out of the dryer that I love. Seriously — I snuggle up in the freshly washed and dried laundry as I pull it out of the dryer. I love the warmth and the fresh and clean scent. 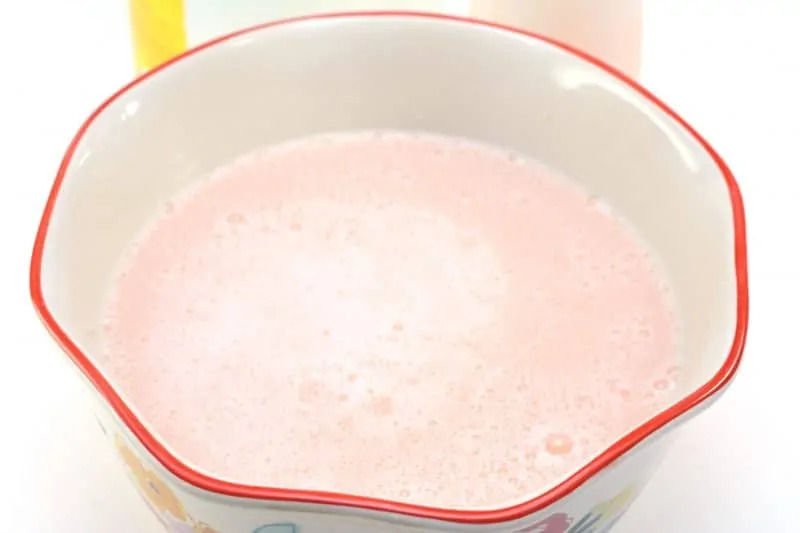 Did you know that you could make your own fabric softener at home using conditioner? The beauty of this is being able to choose any scent of conditioner that appeals to you. Fruity scents are my personal favorite but you can experiment and have fun with it. We picked up a cheap bottle with a fruity scent from the Dollar Tree — there is no need to spend a lot on the conditioner. 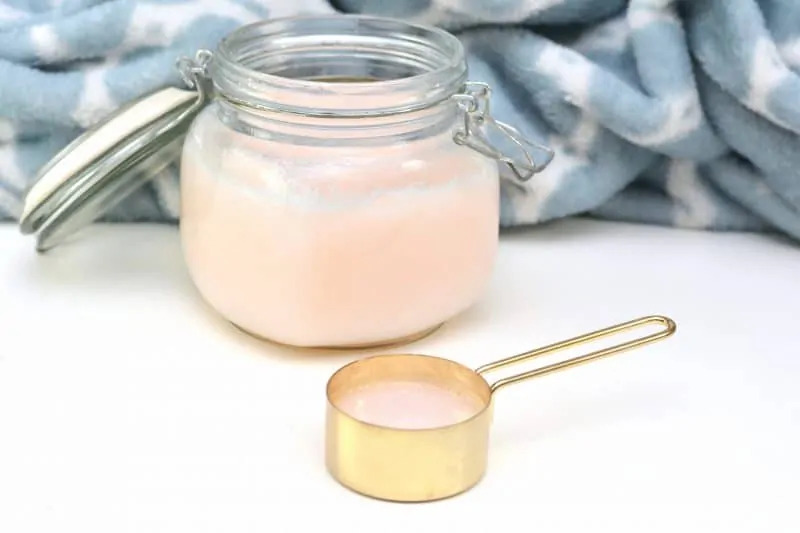 While your DIY fabric softener will take on the scent of the conditioner that you use, the scent actually left on the clothing after they have been washed is very light. If you want to make fabric softener with a stronger scent, you could try adding a few drops of essential oil to your conditioner as well. 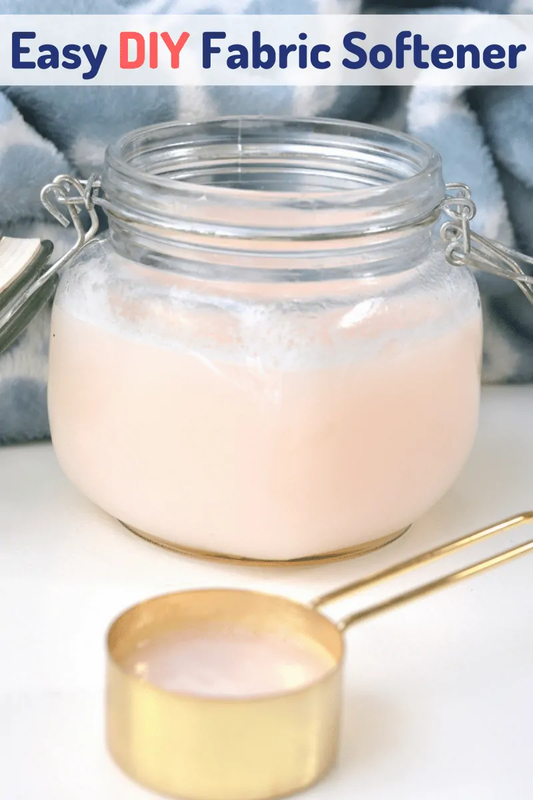 I like to save money on doing laundry anyway that I can, and this homemade fabric softener recipe has proven to be very economical. The recipe makes enough for 30-40 loads, and costs next to nothing to make. 1. 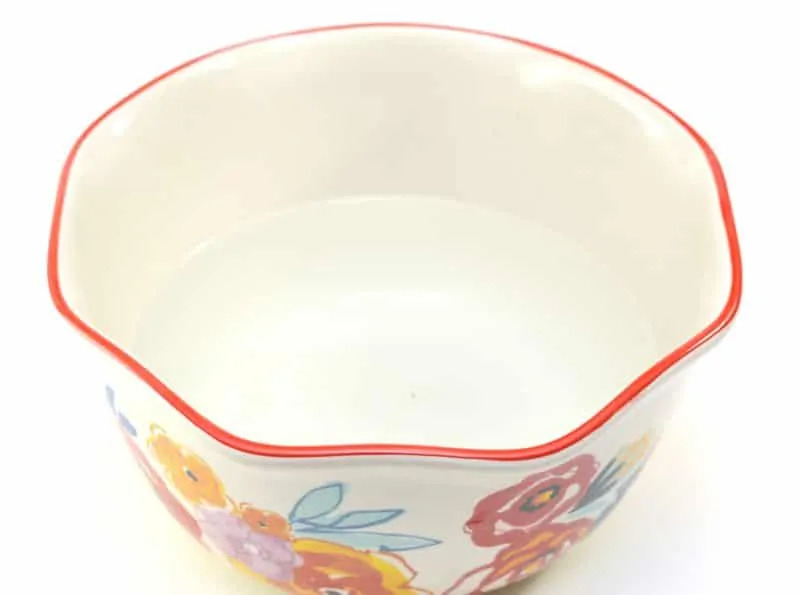 Pour hot water into a large mixing bowl. 3. Add conditioner and stir well to combine. Note: If the mixture begins to separate at all, simply shake the container to help it mix back up. 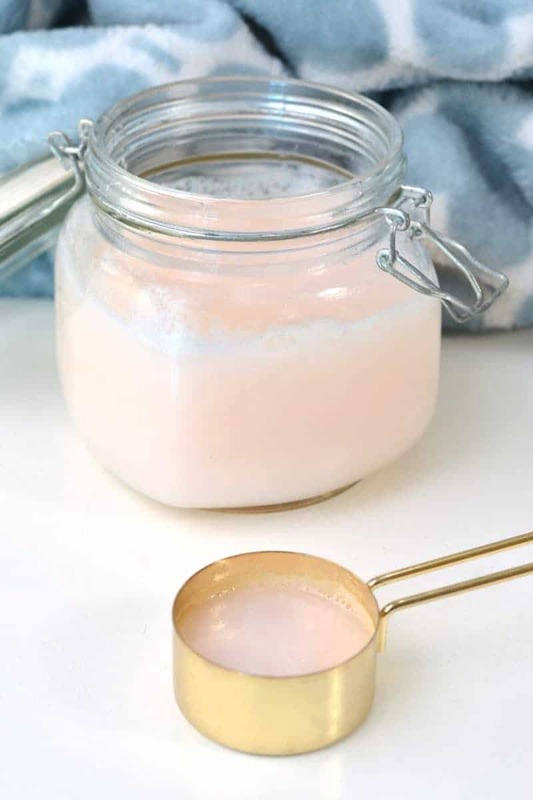 If you decided to make a batch of DIY Fabric Softener with Conditioner yourself, I would love to hear what scent of conditioner you decided to use — and how you liked it — in the comments below. What a great idea. I’d love to try it. Dryer sheets are expensive. Thanks for posting! This is such a great idea. I like how it uses conditioner. I use to make fabric softener all the time, but stopped for some reason. The old recipe I used didn’t call for baking soda, so I’ll have to try that. I had no idea you could make this at home. Such a great way to save money. Vo5? Who knew! I never even knew you could actually make this!!! I don’t use dryer sheets because they soften my clothes so much as because they help get rid of static. So what does everyone do to combat static? The kids’ clothes get especially static-y if I don’t use dryer sheets, so what else can I do? I surely will try this. Are you saying to use hair conditioner? this is much needed information. I always had a problem washing my suits. Thanks for the great,, simple recipe. Works well! However, I highly suggest changing the order of mixing the ingredients to do away with the rest time entirely. 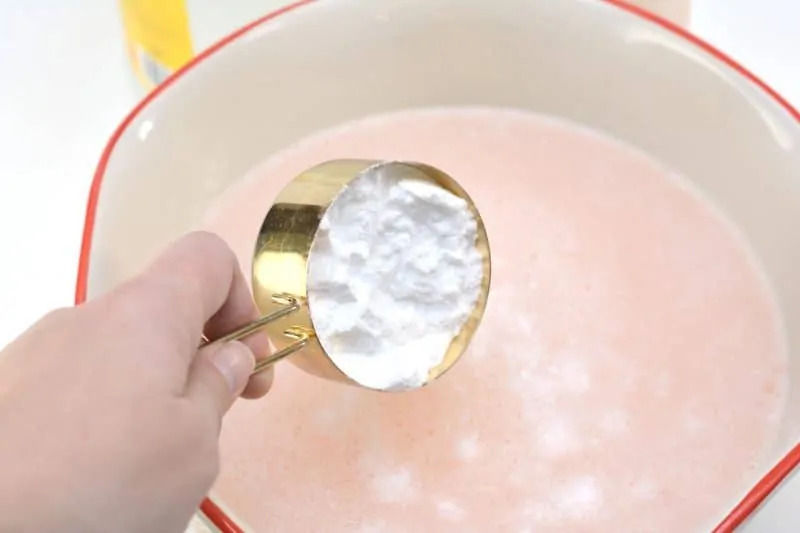 If you put the baking soda into a large bowl FIRST, then slowly mix in the vinegar, the bubbling effect only lasts a fraction of the time (took me maybe 2 minutes). 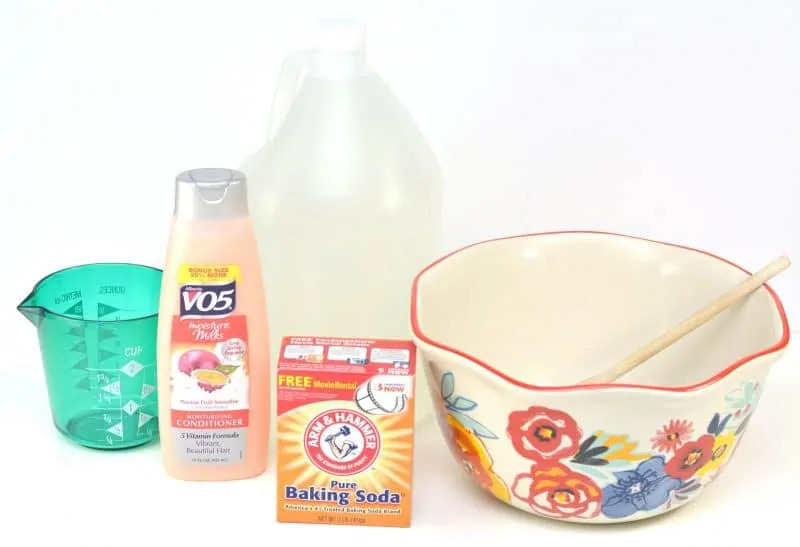 Then, I put the hot water and conditioner in the jug I use for fabric softener, shook to mix, and poured in the baking soda-vinegar. 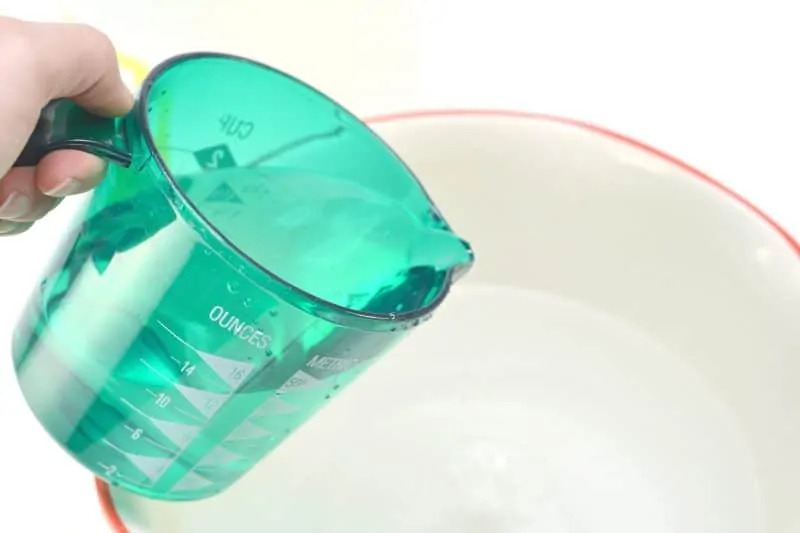 The vinegar needed a quick stir since the baking soda had somewhat settled, but everything was combined and done in under 5 minutes.